At first glance, these chairs appear to defy gravity by standing upright on only two front legs. Closer inspection reveals that the shadow is actually part of the chair. 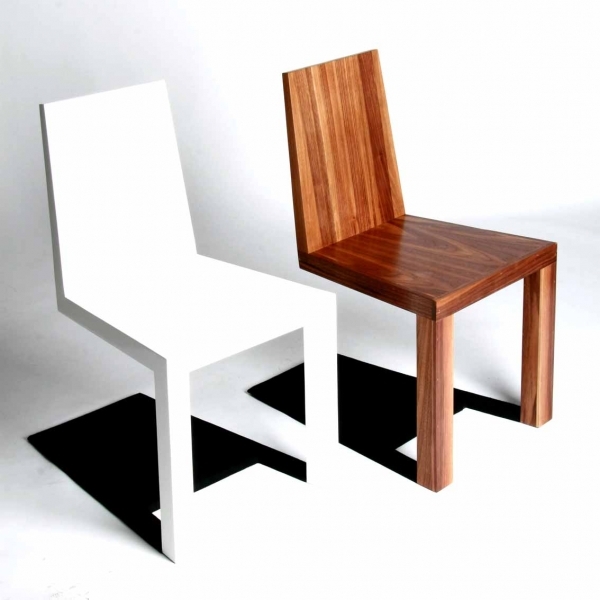 Christopher Duffy of Duffy London designed these innovative chairs.